This piece is on 3 feet x 4 feet canvas, commissioned from a client. Used a mix of acrylic paint, spray paint, various stains and paper to achieve the desired look. 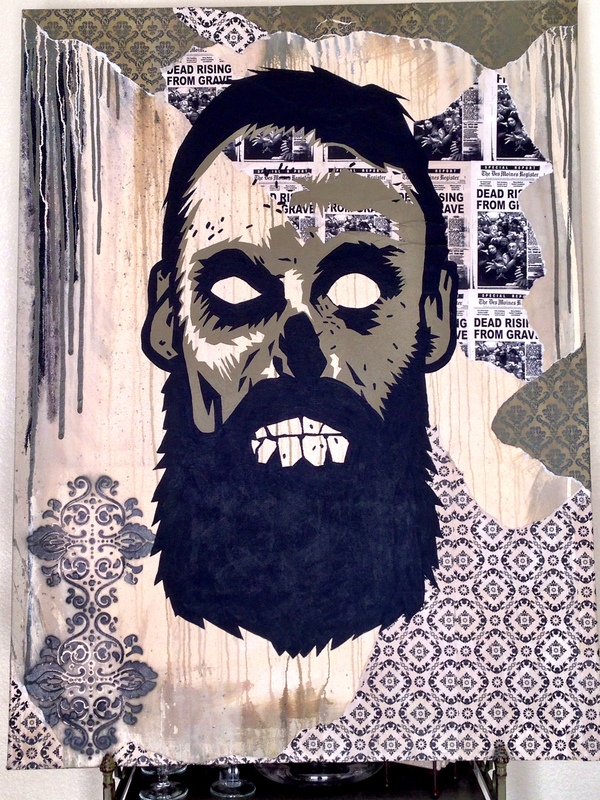 This entry was posted in Beer Zombies Art and tagged #beer, #beerzombies, #craftbeer, #dtlv, #lasvegas, #zombie, #zombies, acrylic paint, art, spraypaint, vegas, wheatpaste by beerzombies1. Bookmark the permalink.